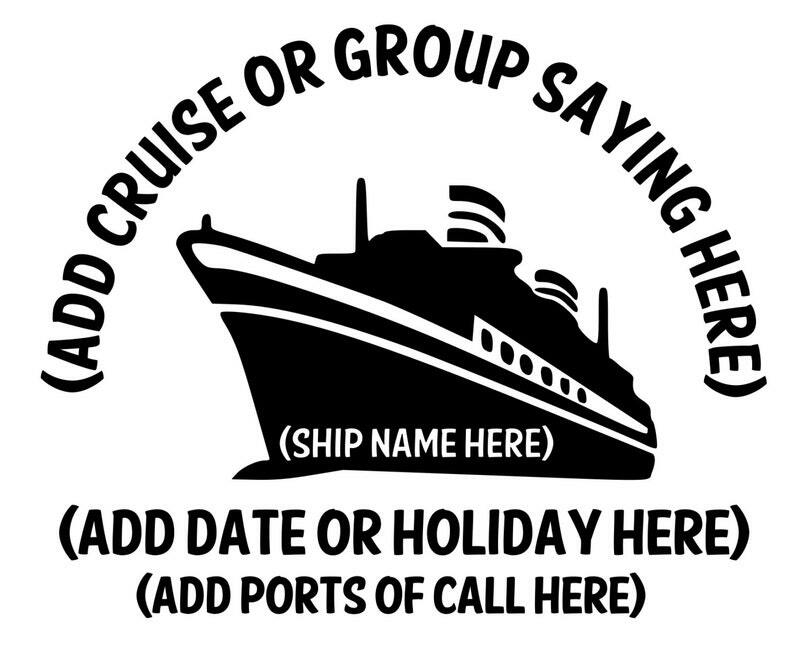 Bring your family or group together with a customized cruise t-shirt! Whether it's one color or a few, we will customize the color scheme of the design to fit your cruising needs. Vinyl colors available: Black, White, Navy Blue, Royal Blue, Red, Pink, or Neon Pink. If you would like the design on the back of the shirts and a monogram on the front left pocket, please include the specific details asked for below. 5. Color scheme or single color of Vinyl selected for design. If you are ordering shirts with monograms please select from the style and font options below. Also please include the exact letters for monograms on each individual shirt. 1. 3-letter circle with border. 2. 3-letter circle without border. 4. 3-letter diamond with border. 5. 3-letter diamond without border. If you are interested in a different style or font for your monogram, please let us know as we continue to add more options. Great. Just what I wanted. Can't wait to wear it. Thank you! !